Items considered at hearing were from three development periods: the pre-Grand Central Terminal Era, the Grand Central/Terminal City Era, and the post-Grand Central/World War II Era. On September 13, 2016, the Landmarks Preservation Commission held hearings on the potential designation of seven individual landmarks in Midtown Manhattan. The items heard were among the twelve properties identified as potentially worthy of Landmarks protection in the agency’s Greater East Midtown Initiative. The initiative is part of the mayoral administration’s efforts to strengthen the area as a commercial district with proposed increased density, improvements to transit, and economic growth projects. Landmarks held its first hearing on items identified in the initiative on July 19, 2016. The September hearings proved much less contentious than the July hearings, with no serious objections to the designations voiced. The potential individual City landmarks heard are the Minnie E. Young Residence, the Martin Erdmann Residence, the 18 East 41st Street Building, the Hampton Shops Building, the Yale Club of New York City, the 400 Madison Avenue Building, and the complex composed of the former Citicorp Center and St. Peter’s Lutheran Church. Combined with the hearings on five properties at the July meeting, the September meeting completed the hearing portion of the designation process for the Midtown Initiative items. The Commission’s next step will be a vote on the designations. The Minnie Young House, at 19 East 54th Street, is among the properties that antedate the Grand Central Era. The 1900 Renaissance Revival townhouse dates to the neighborhood’s days an upscale residential area. Designed by the firm of Hiss & Weekes, the building was originally constructed as a home for the widowed Minnie E. Young, an heiress to the American Tobacco Company fortune. As the neighborhood evolved into a commercial district, Lady Duff Gordon’s fashion firm Lucille Ltd. converted and occupied the building. 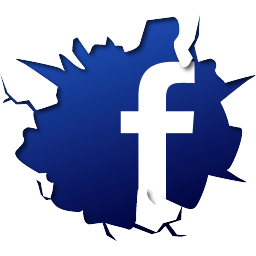 Among its other commercial occupants, it became the headquarters of celebrity hairdresser Kenneth Battelle, known as “Mr. Kenneth,” in the 1960s. Battelle styled the hair of film stars like Marilyn Monroe and Audrey Hepburn, as well as other public figures and socialites, including Jacqueline Kennedy, Brooke Astor, and Happy Rockefeller. In 1993, a bank occupied the building and added two setback stories. The Martin Erdmann Residence. Image Credit: CityLand. The Historic District Council’s Barbara Zay said “the building is unlike any other contemporary New York town house,” and noted that its original interiors were also largely intact. 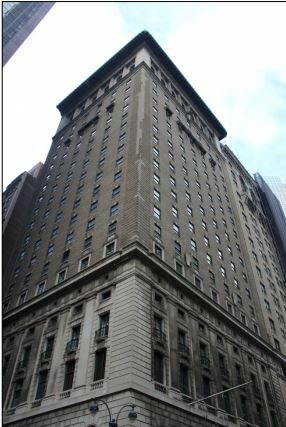 The 18 East 41st Street Building, at its eponymous address, was completed in 1914 to designs by George and Edward Blum, whose other works include the individually landmarked Hotel Theresa. Built when the construction of Grand Central Terminal was nearing completion, it was part of the first wave a commercial development in the area, the 21-story office represented the City’s skyscraper design prior to the establishment of the 1916 zoning resolution. Neo-Gothic in style, the building rises vertically without setbacks, and is ornamented with white, blue and beige terra cotta. A penthouse story on the roof originally functioned as a private residence, and later served as a speakeasy. Andrea Goldwyn praised the structure’s “splendid terra cotta ornamentation.” A representative of the Friends of Terra Cotta noted that the building was unique among the Blums’ work for its neo-Gothic style. The 1916 Hampton Shops Building, at 18 East 50th Street, was also designed in a neo-Gothic Style, intended to complement the nearby St. Patrick’s Cathedral. The architects, Rouse & Goldstone, with Joseph L. Steinman, designed the eleven-story building with tripartite facade, with terra cotta cladding intended to resemble granite. The building also antedated the zoning resolution, and possesses a sheer vertical face. The tallest building on the block at the time of its construction, it housed retail uses, with multiple showrooms displaying furnishings and other goods. The company went bankrupt during the depression, and the building has since hosted multiple uses. The ground floor arcade had been modified, but the rest of the building’s exterior remains generally intact. Designation was supported with testimony from representatives of the Historic Districts Council, the New York Landmarks Conservancy, and the Municipal Art Society. The Yale Club. Image Credit: CityLand. 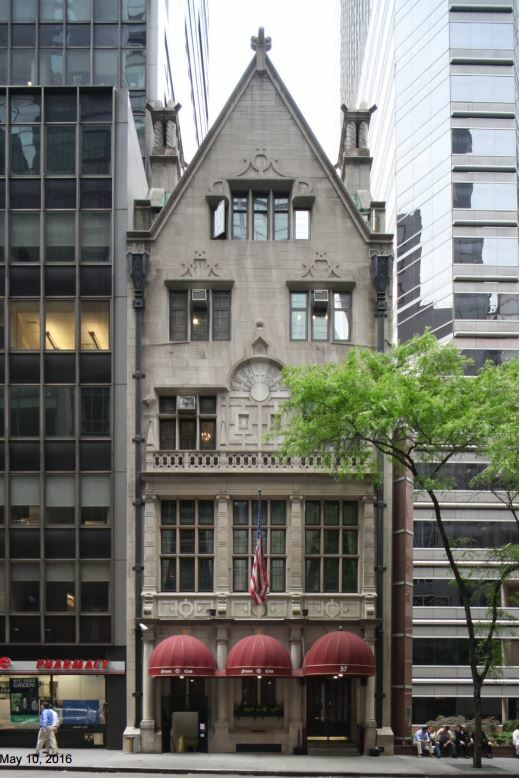 The Yale Club of New York City, completed in 1915 to designs by James Gamble Rogers, is sited at 23 East 47th Street. The club was built as part of Terminal City, a City Beautiful-inspired planned development built over the underground rail passages. Rogers, a Yale Graduate designed several buildings for the campus, including the Sterling Library. In designing the Yale Club, Rogers regularly consulted with Grand Central’s architects, Warren and Wetmore, to ensure the buildings complemented one another. The Renaissance Revival structure is the largest private clubhouse in the City at twenty-one stories. It is clad with rusticated limestone at its base, brick at the main shaft, and terra cotta at the top stories, where the club’s dining room is housed. The 1929 400 Madison Avenue Building constitutes an early response to the 1916 zoning resolution, with a “wedding cake” massing designed by architect H. Craig Severance. The 22-story Neo Gothic building occupies an entire block front, but is only 50 feet deep, allowing all tenants access to exterior wall windows. Severance was also the architect of the landmarked Manhattan Company Building. The New York Landmarks Conservancy called the building a “neo-Gothic masterwork,” and “one of the best survivors of an era of active commercial construction.” Representatives of the Municipal Art Society and Historic Districts Council also testified in support of designation. 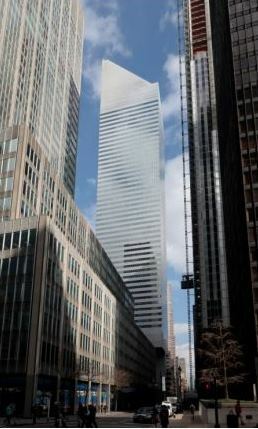 The Citicorp Center complex, at 601 Lexington Avenue, is the only item identified in the Midtown Initiative to have been developed after the Grand Central era, having been completed in 1978. The complex is composed of three buildings: a 59-story office tower, a six story office and retail building, and the Lutheran St. Peter’s Church. The firm Hugh & Stubbins, in collaboration with Emery Roth & Sons, were the site’s architects. An iconic work of late Modernism, the property was developed using zoning incentives for the creation of public space. Publicly accessible spaces within the complex include a sunken plaza, an open-air concourse, and a covered pedestrian walkway. The 910-foot office tower’s facade consists of polished aluminum panels and ribbon windows, and is topped with a roof cut at a 45-degree angle. The development also made energy efficiency a priority, claiming to use 43 percent less energy than other skyscrapers of its size. Architect Edward Larrabee Barnes consulted on the design of the church, at the corner of 54th Street and Lexington Avenue. The church is clad in granite, with a prism shape and a prominent skylight. The Citicorp Center was widely praised at the time of its construction, garnering accolades from architectural critics Ada Louise Huxtable and Paul Goldberger. Andrea Goldwyn took note of the architectural and engineering innovations incorporated into the tower, including the use of double-stacked elevator and dampers to reduce sway. Goldwyn said the tower served as a “symbol of resilience during difficult financial times.” Landmarks Chair Meenakshi Srinivasan stated that Boston Properties, which acquired the center in 2001, supported designation. She added that the owners were considering making alterations to the public plaza. Srinivasan said that she expected the Commission to vote on all of the Midtown Initiative items by the end of 2016. LPC: Minnie E. Young House, 19 East 54th Street, Manhattan (LP-2584); Martin Erdmann Residence, 57 East 55th Street, Manhattan (LP-2578); 18 East 41st Street Building, 18 East 41st Street, Manhattan (LP-2581); Hampton Shops Building, 18 East 50th Street, Manhattan (LP-2580); Yale Club of New York City, 50 Vanderbilt Avenue, Manhattan (LP-2579); 400 Madison Avenue Building, 400 Madison Avenue, Manhattan (LP-2576); Former Citicorp Center and St. Peter’s Lutheran Church, 601 Lexington Avenue, Manhattan (LP-2582).